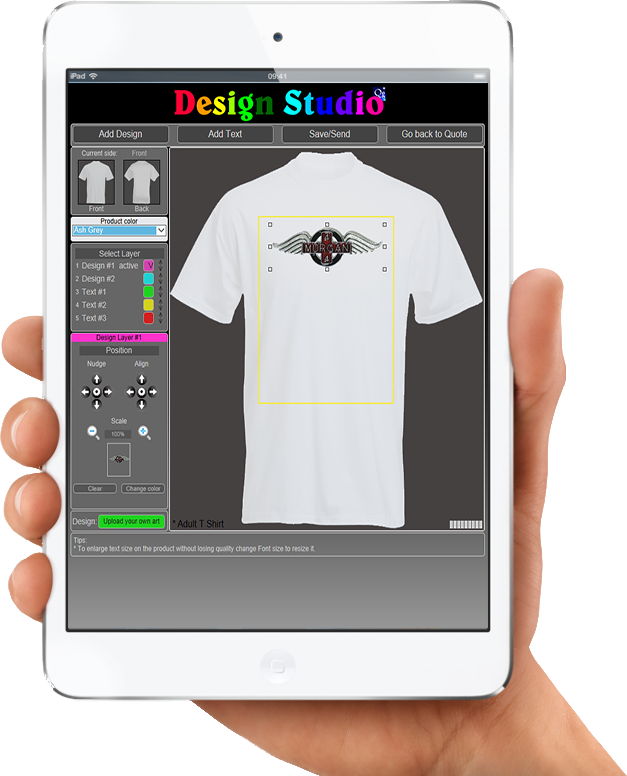 Make it easy for your customers to make their own T-shirts online. Visit www.tshirt.quotegeneratorplus.com, register, and install your own quote generator plus online designer for your website. In our design studio anyone can design online. No need to expensive, hard to figure out software. Your customer can pick a product and customize it in design studio. They can choose a font, browse your art, or upload their own artwork. Your customer can make own design on a T-shirt or other product.